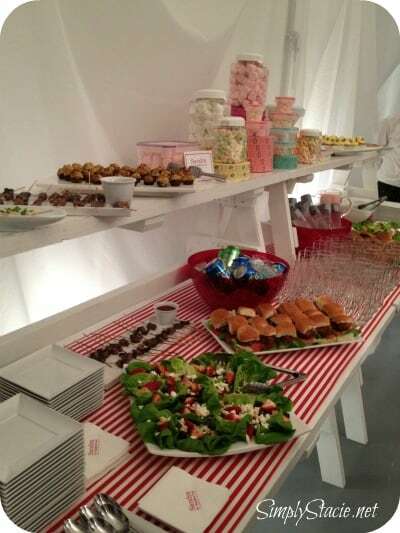 I was honored to represent Simply Stacie at the Sandra by Sandra Lee NYC Summer Carnival event. I spent two fun-filled days in NYC with some great bloggers while we learned about the new line of home accessories from Sandra Lee now available at K-Mart and Sears. 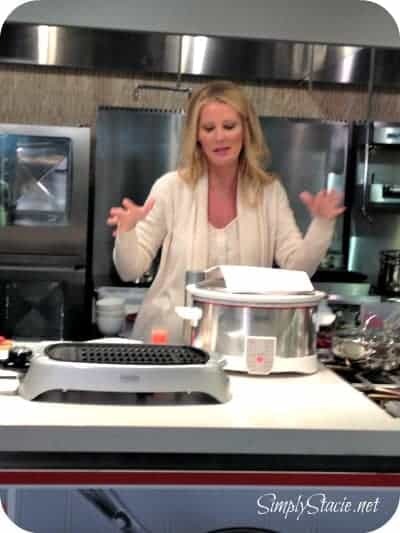 Sandra Lee is known for her simply easy-to-make meals on her Food Network show Semi Homemade. She also well-known for her numerous cookbooks and her beautiful tablescaping. And now she has a full-range of new home products at K-Mart and Sears that are functional, fun, stylish and affordable. During the carnival event, Sandra sat and chatted with all of us as if we were all good friends gathered for a party. The atmosphere was fun and inviting, and we all had a blast learning about Sandra and about each other. We were all given the chance to ask questions, talk about ourselves, and we broke off into teams to try a little tablescaping on our own with Sandra as our guide. 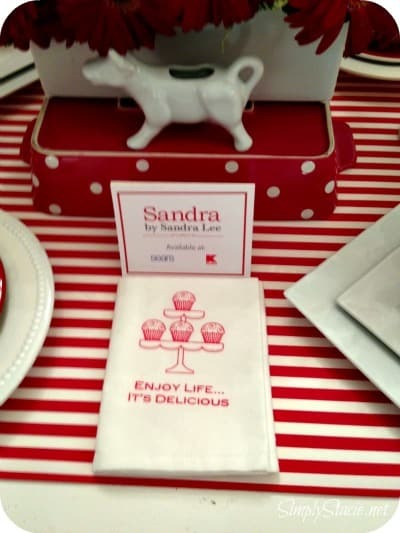 After we ate some yummy food and chatted for a bit, we all headed to the kitchen to check out the new line of Sandra by Sandra Lee products on the market (with a peak at some holiday items set to come out this fall!). The collapsible cupcake carrier – built to hold 24 cupcakes, collapsible to half its full size, and dishwasher safe. Hand mixer with carry case – a hand mixer with a built in case to keep all the wire beaters and dough hooks together – a GREAT storage solution. Dip plate clips – so simple, yet so genius! A great product for allowing for personal dipping for parties or just around the house with the kiddies. Sandra’s new line also includes cookware, serveware, bakeware, storage, kitchen linens and tons of accessories for tablescaping. Everything from crock pots, to countertop grills, Sandra’s products are made with fun and ease of use in mind. Many of the items are dishwasher safe and can be used in the microwave. 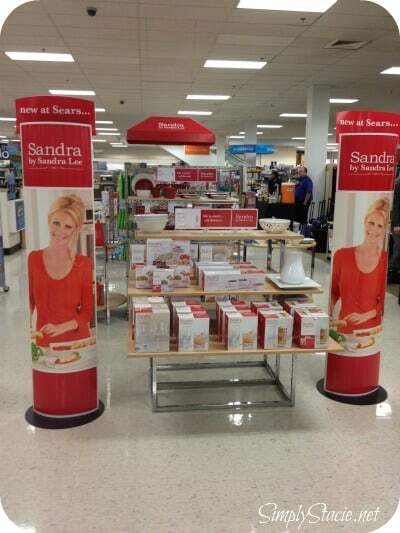 To celebrate the release of Sandra by Sandra Lee, you can save $5 off any Sandra product purchase of $15 or more at Sears.com. Simply use the code BYSANDRALEE at checkout. You can also keep up with Sandra on her website, on Facebook, and Twitter.